These are my earrings done for my wife. Little bit of sanding to get rid of the support marks and then two layers of spraypaint and finished off with a layer of top varnish. 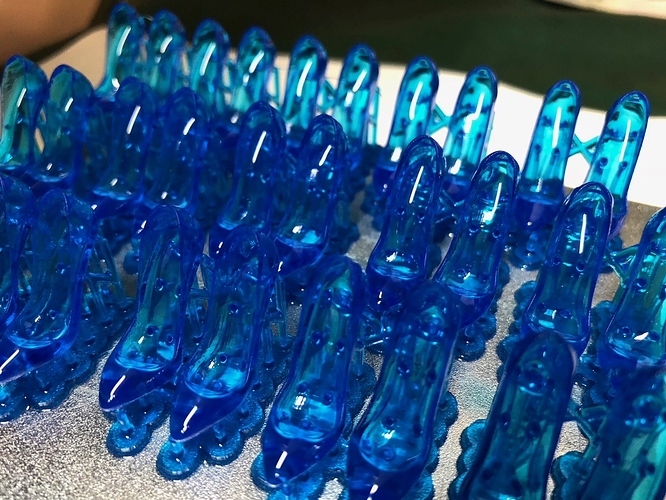 No this is Peopoly Blue resin.